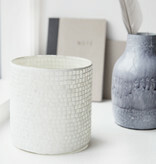 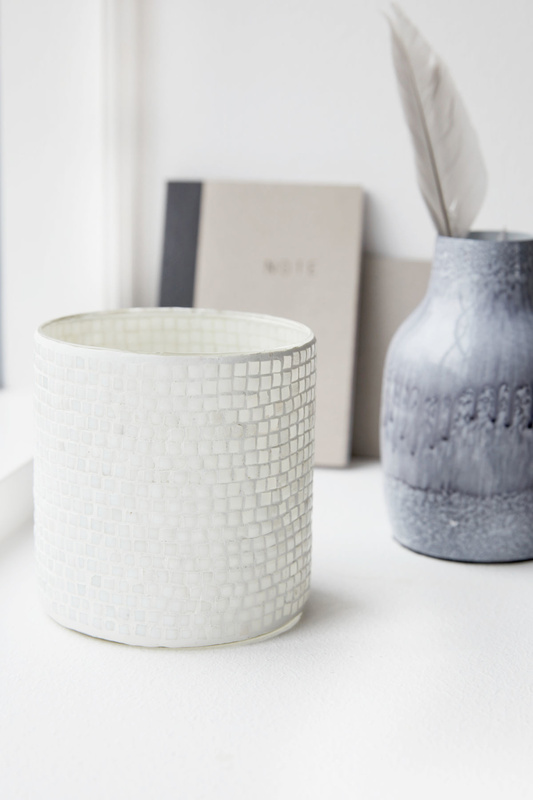 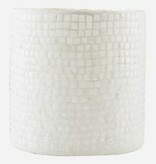 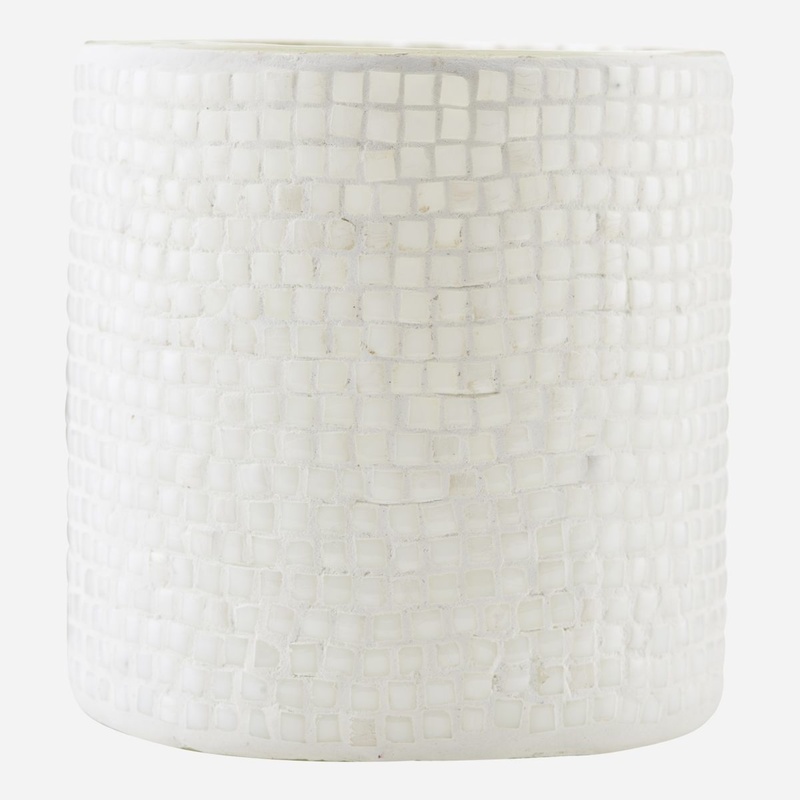 Give your home a fun and atmospheric touch with the elegant Bricks tea light holder from House Doctor. 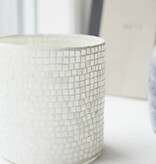 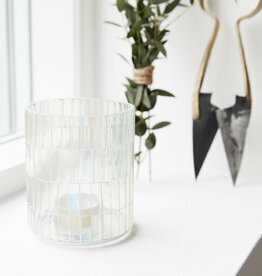 The holder is made of small white glass pieces that are shaped as squares. 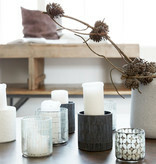 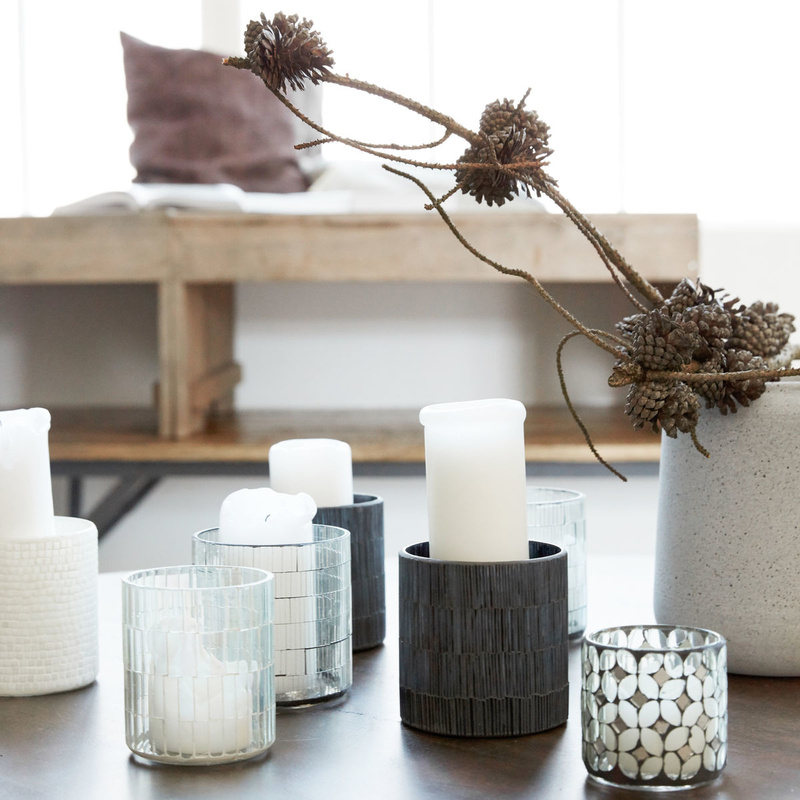 Enjoy the muted and cosy light that will come out through the small pieces of glass. 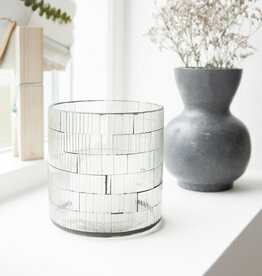 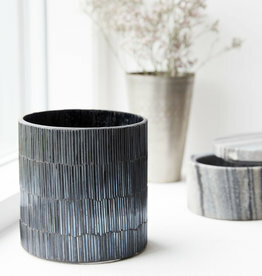 Place it alone or together with other holders for a nice, personal display.